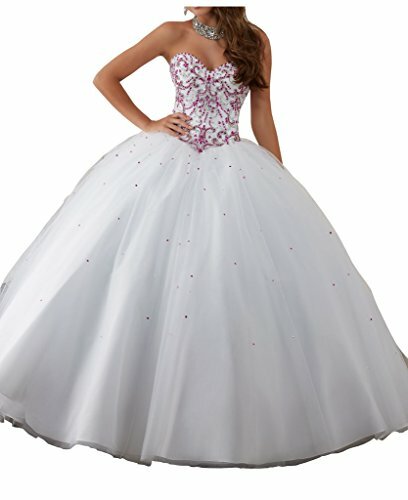 Custom Made Women's Wedding Dresses or Sweet 15 Quinceanera Dresses .Color , Blue Dimonds +White ; Fuchsia Diamonds+White . Size , amaon size chart US SIZE 2 --SIZE 18 .There are some Dimonds on the chest .it is floor length ,back lace up (corset).Besided , it needs a petticoat to make it more puffy .Color and size can been customized for you as long as you e-mail me your requirements .Expedited shipping is available. Exchange and return service is also available.